Over the years we have learned that there is no such thing as a “one size fits all” approach when it comes to CRM or ERP systems, and at Shawnee Datacom we specialize in bringing the right mix of global developers and programmers to deliver the solution you need as quickly and as cost effectively as possible. Customizing an off-the-shelf CRM or ERP solution is extremely important in being able to match your methods of working, as well as ensuring your terminology is used and is consistent. We offer a full range of open source services including migrating existing systems to open frameworks, custom open source-based software development, open source software customization and implementation. Open source customization services can be provided for a range of system requirements including e-commerce, e-learning, enterprise resource planning (ERP), content management (CMS), customer relationship management (CRM), point of sale (POS), supply chain management (SCM), web application solutions, and several other functional areas. If you need custom forms the most economical way is to utilize Excel as the Front End for an existing Back End (database). Excel is an excellent tool that can provide powerful data presentation, manipulation and validation. With this approach you can reach a high level of customization for your existing CRM or ERP without spending thousands dollars for conventional programming. 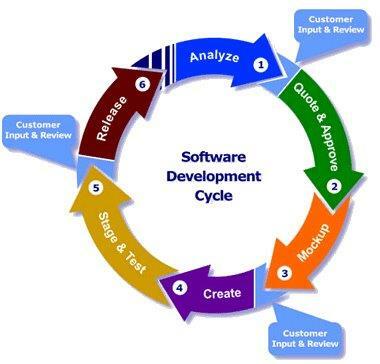 If you need a custom software solution we offer you our expertise in Back End development. Most relational databases are comprised of two distinct components: the back-end, where the data is warehoused, and the front-end, a user interface for communicating with the data component. This type of design is quite clever, as it parallels the two-tier programming model that separates the data layer from the user interface and allows the makers of the database software to focus on their product’s strongest suit: data storage and management. At Shawnee Datacom we are exclusively focused on Oracle, and we’ve built our team to offer skill sets that span the entire range of tools and technologies that form the foundation of Oracle E-Business Suite and the entire spectrum of Oracle Edge products.